This store bought costume for kids entered our 2017 Halloween Costume Contest. 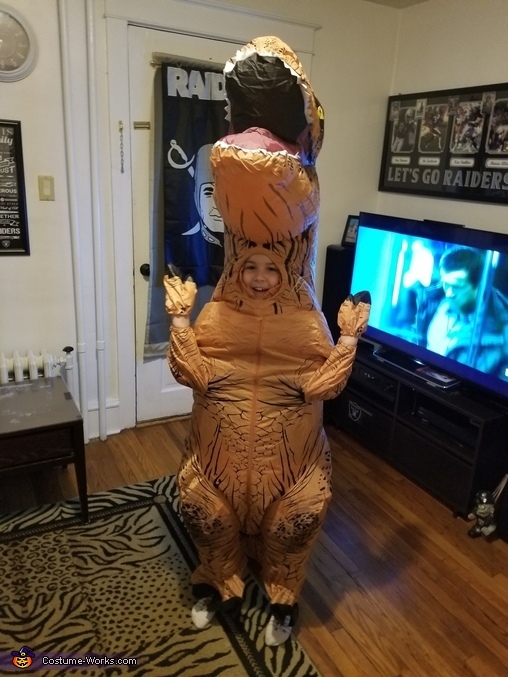 My 10 year old Daughter wanted to be T Rex this year. I found the perfect costume at Target! An inflatable T Rex and she fell in love! His name is Jeff and stands over 5 feet tall oh and he likes cheeseburgers!